I’m Jane, and ordinarily, you can find me over at Is That You Darling. Though my blogging has been sporadic of late, I always find time in my schedule to blog about my love of books and reading, and in recent months, my blog seems to have gone from being a lifestyle blog with a focus on the bookish side of life, to a bookish blog with the occasional look at my life. I love reading. Always have, always will. I truly believe that if you don’t think you’re a reader, it’s just because you haven’t found the right book yet. I have my favourite genres, as we all do, but I’m constantly looking to push myself outside my comfort zone, because this is where the hidden gems lie. With that in mind, each year, I set myself a reading challenge. This is outside of my aim to read a specific number of books (usually 75) within any given year. 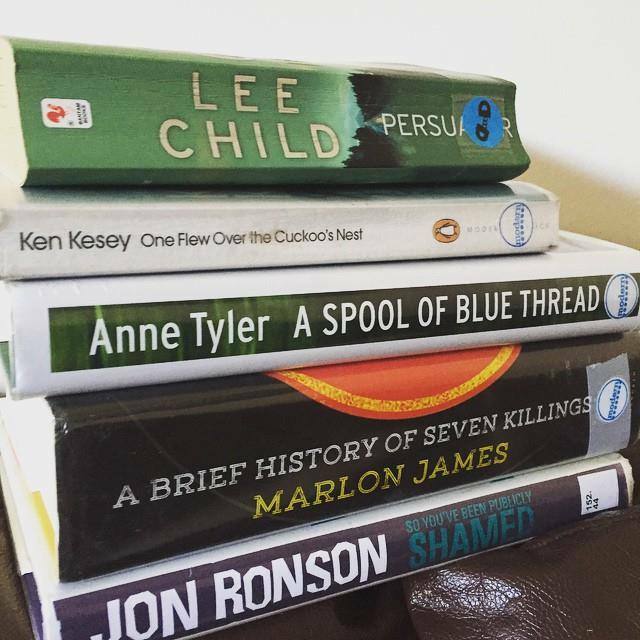 I have a birthday list – this year it’s 34 Before 34 – and I try and make at least one item on the list a reading challenge. So for my guest post for Haydy, I thought I’d give you some ideas of reading challenges, some of which I’ve tried, and some I haven’t. This one can work one of two ways, and I’ve done both! You can either read a book for each letter of the alphabet by author, or you can do it by book title. I’m doing the latter right now, as a part of my 34 Before 34 list, and I’m reaching a point where I’m going to have to start seeking out some of the trickier letters! This challenge, of course, depends on if you are a member of your local library. If you’re not, I don’t really know what you are doing with your life. Libraries are amazing – they let you borrow books for free. Free books, you guys. Anyway, this challenge also differs depending on the size of your local library; mine is tiny, and so reading a book from every section would cover about eight fiction sections, and about five non-fiction sections. Totally doable; if you live in a big city with a huge branch, it might be a little trickier, but challenges are only fun if they are actually challenging. If you’re a fan of Gilmore Girls, you’ll know that Rory Gilmore is a big reader. It’s part of what makes her so great (though never as amazing as her mother). If you’re so inclined, you can find lists on various websites of every book she ever read, or mentioned, in the series, and make your way through them. They range from the likes of Anna Karenina to My Sister’s Keeper. This is obviously a huge challenge, and one that will take a while. You could narrow it down by continent, or go for a book for each American state. If I was to do it by country, it would certainly diversify my reading habits, as I am totally guilty of reading mostly white, western authors. I set this goal for myself as part of my 32 Before 32 list, but ultimately failed to achieve it. 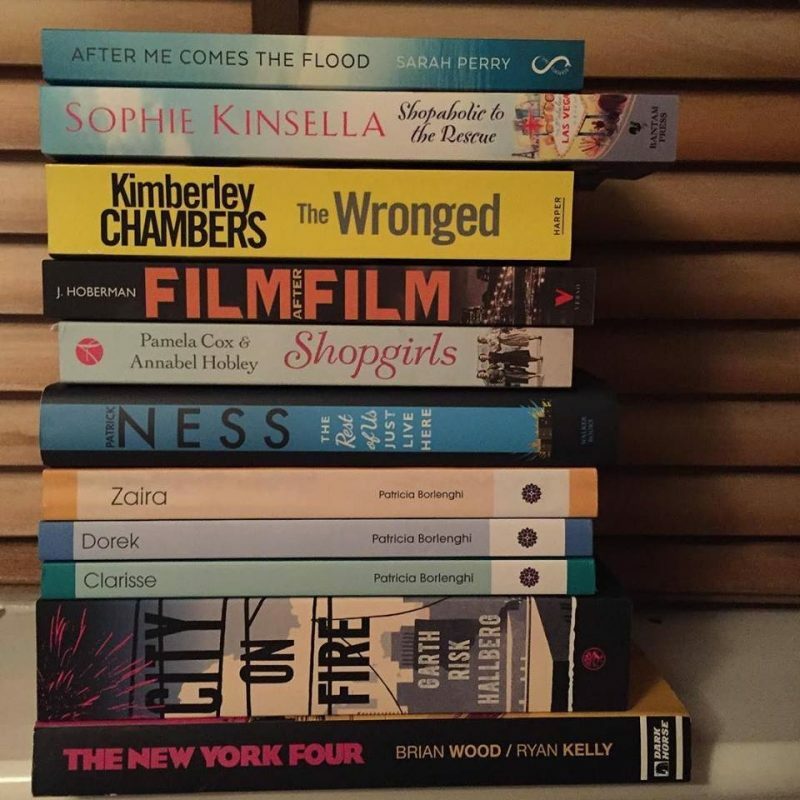 It’s a good challenge, and for me, it involved trawling through lists of book prizes from around the time I was born to try and find things to read. These are just a few ideas if you are looking to shake up your reading habits. I love making lists almost as much as I love reading, so the fact that a reading challenge combines these two things makes them really fun for me! Have you tried a reading challenge? What are your suggestions? Thanks to Haydy for having me to blog at Squibb Vicious, it’s a real honour as it’s one of my favourite blogs! "TEN TIPS FOR TOTAL HOTEL SATISFACTION"
"French Toast stuffed with Parma Ham, Brie and Pear"